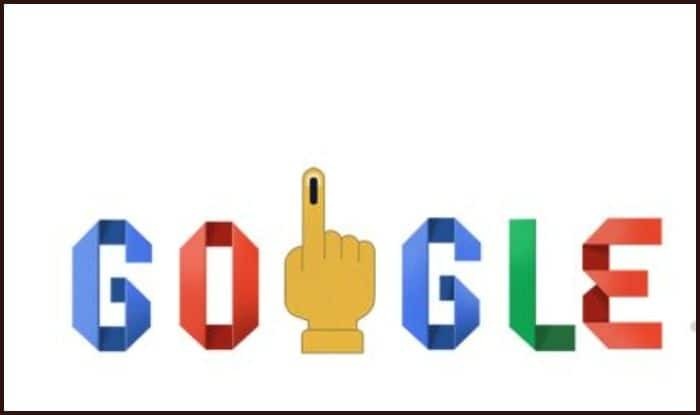 Lok Sabha Elections 2019: Google uses an innovative way to tell people 'How to Vote' and 'What is The Voting Process' through a doodle. The 2019 Indian general election, also known as Lok Sabha Elections is scheduled to be held in seven phases from 11 April to 19 May 2019 to constitute the 17th Lok Sabha. As today is the first day of Phase 1, Google tells people how to vote with an informative doodle. Phase 1 voting is on April 11 and it comprises of 91 seats. On this day, twenty states and union territories will vote in the first phase. The states that are going to start off Lok Sabha Elections 2019 on Phase 1 are Andhra Pradesh, Arunachal Pradesh, Assam, Bihar, Chhattisgarh, Jammu and Kashmir, Maharashtra, Mizoram, Manipur, Meghalaya, Nagaland, Odisha, Sikkim, Telangana, Tripura, Uttar Pradesh, Uttarakhand, West Bengal, Andaman and Nicobar Islands, Lakshadweep. When you click on the doodle, Google gives a piece of information on the voting process at a polling booth. The counting of votes will be conducted on 23 May, and on the same day, the results will be declared.